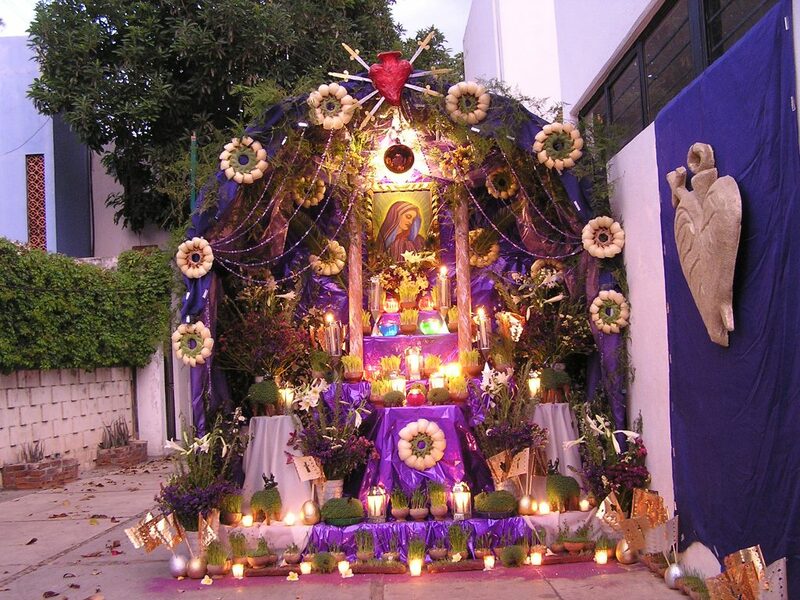 Viernes de Dolores (Friday of Sorrows) is a day of great devotion in Oaxaca City and takes place the sixth Friday of Lent, or the Friday before Palm Sunday. 2019 Viernes de Dolores (Friday of Sorrows) is April 12. For visitors this is one the great surprises that await. While so much is known and made of the Day of the Dead altars, this celebration draws much less attention. Instead of showcasing the prepared food and drink, the spring altars are decorated with seedlings and sprouts growing from chia pets (monos de chia). The tradition originated in the colonial period, when the Jesuits consecrated a chapel to Our Lady of Sorrows in the Temple of the Company. Other churches that have chapels dedicated to Our Lady of Sorrows are Patrocinio, San Cosme and San Damian in which there is a great display of devotion to the Mother of God. The altars are built in public areas, in markets, houses and churches to mark the sorrow of the Virgin Mary. From the colonial districts of China, Xochimilco and Jalatlaco distinguished by the richness and beauty of their altars. The altar starts the cycle of life in terms of agriculture, and takes place during the spring and the start of the rainy season. Along with Day of the Dead, these altars are a tribute to Mother Earth. The altars are decorated with clay pots and filled with young seedlings of wheat, corn and lentils planted two weeks before. Other decorations include the friendly chia pets. They have been carefully cultivated so that they have not received much light which gives them a yellow color. Palms symbolize the martyrdom of Jesus Christ. The wreaths are made with hearts of palm and are called ‘Spoon Crowns’ because of their shape. These are allegories to the Virgin because it is considered the Queen of Heaven. Rich smelling herbs such as bay leaves and rosemary are included. The altar is garnished with grapefruit and flags painted in gold and glued with tinsel. Very important are the seven glass spheres of water that symbolize the Seven Sorrows of the Virgin. 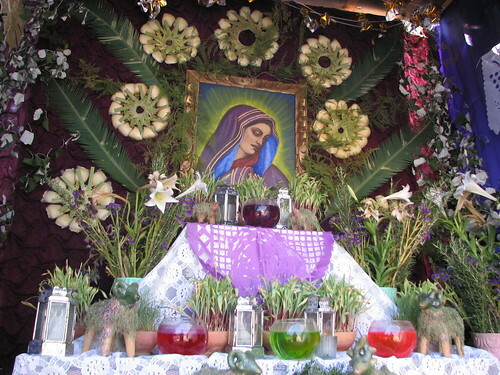 The whole altar is decorated with the color purple because it represents the mourning of the Virgin. The flowers are white lilies showing chastity and purity of the Virgin. Boris Spider prepares the Viernes de Dolores Altar at Galeria La Mano Mágica, Alcalá 203 and invites the public to visit at 7pm, Friday. Is there live or recorded video from the altars? = ¿Hay videos en vivo o grabados de los altares? 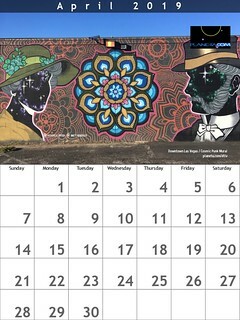 What is the date of Viernes de Dolores 2020? = ¿Cuál es la fecha de Viernes de Dolores 2020? Experiencing FOMO and a desire for Bilocation = The ability to be in two places at the same time … How I wish I could be in Oaxaca for today’s altar installation!